Home / Beauty & Fashion / Hair Care / Is Your Shampoo Sulphate-Free? Time to Check Now! Is Your Shampoo Sulphate-Free? Time to Check Now! We all love the lather in our shampoos, toothpaste and soaps. Sulphate is a standard ingredient in a shampoo responsible for the foaming-effect. I am sure you don’t want to wash my hair with the same detergent that cleans your clothes and dishes. “Sulfates” refer specifically to the ingredient sodium laureth sulfate (SLS) (also less commonly known as ammonia laureth sulfate (ALS). Sodium Lauryl Sulfate, or SLS, is a very powerful detergent that cuts grease and makes our soap and shampoo foamy, giving soaps their soapiness. It cuts grease and lathers our hair with tons of bubbles, but sometimes bubbles do not equal clean… or safe. Sulfate salts are known to strip and dry out your hair. If you color your hair, the sulfate-shampoo can cause severe dryness, breakage, and diminished elasticity. Sulfates in shampoo have been proven to cause serious skin and scalp irritation and worsen chronic skin hypersensitivity, which is a type of eczema. Your eyes can begin to sting terribly with penetration of sulphate into your eyes. 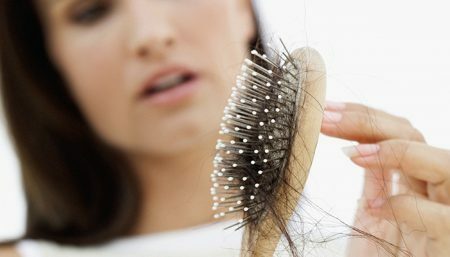 One of the causes for hair loss. Not only do they damage your strands, but sulfates also damage the hair follicle’s leading to hair loss and serious breakage. Its for you to decide if the bubbles are worth the risk. 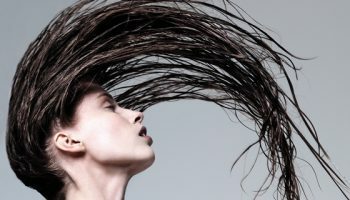 How to Check for a Sulfate free Shampoo? Simply go into your bathroom and look at the back of your favorite bottle of shampoo ingredient listed. Check out for Sodium Lauryl Sulfate. Its high time you switched to a sulfate-free formula if you have allergies, eczema or find your curent shampoo irritating to the scalp. Bumble and Bumble Color Minded Shampoo 8.5 oz($30.55): The shampoo and conditioner are both designed to prevent hair color from quickly fading away. The shampoo’s strength is mild and it does not contain sulfate. Burt’s Bees Pomegranate & Soy Shampoo, 12-Ounce Bottles (Pack of 2) ($24.99): Leaves your hair soft and full of volume with the wonderful gifts of nature. Contains several polyphenols and anthocyanidins which are highly antioxidant, protecting hair and skin. Nexxus Phyto Organics Chromalife Colour Lock Shampoo, 10.1 Ounce ($13.99): Blended with nourishing blue lotus root, replenishing vitamins. Fade block complex to leave colour treated hair in exceptional condition. Jason Bodycare Shampoos ($14.47): Safe for Color Treated Hair. Contains Tea Tree Oil to help correct dry, itchy and flaky scalp. Calendula and Chamomile help prevent dryness and irritation. L’Oreal Paris EverStrong Sulfate-Free Fortify System Reconstruct Conditioner, 8.5 Fluid Ounce($5.99): This product is Sulfate-free, strengthening and reconstructing conditioner for damaged hair infused with refreshing rosemary and juniper. Reach out and take that next step to healthier hair by using sulfate free shampoo.